Over the past 18 months Animal Defenders International (ADI) has assisted the Government of Peru with enforcement of their national ban on wild animal circuses and illegal wildlife. Over 100 animals have been saved from entertainment and the illegal wildlife trade including lions, bears, a tiger, mountain lion, birds and dozens of monkeys. Next month, ADI will charter a huge cargo aircraft and fly 33 ex-circus lions – 24 from Peru and 9 from Colombia – home to Africa. The lions have led such tragic lives that it is not possible to release them into the wild; almost all have suffered from having their front toes cut off to remove their claws and many have had their teeth smashed. The lions will be taken care of for life at Emoya Big Cat Sanctuary in South Africa. The airlift, the biggest of its kind ever, will cost $10,000 for each lion and ADI is calling for sponsorship for each of the 33 lions. Meet the lions here. 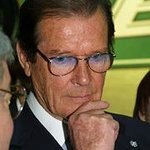 James Bond actor Roger Moore has urged people to contribute to the fund, model Twiggy has donated and US TV legend Bob Barker's DJ&T Foundation helped kick-start the search and rescue mission with a contribution. California’s Oakland Zoo, which has long campaigned against wild animals in circuses, has immediately pledged $10,000 for one lion’s airfare and hopes to raise enough in the Bay Area to help more lions. Facebook Group Lion Lovers has also raised the airfare to get a lion home. Lion Lovers 7,500 members followed each rescue and kept donating as each lion was rescued. The group shares stunning images of wild lions and over a dozen top wildlife photographers offered images for auction to help the battered Peruvian and Colombian lions home. The group adopted a male called Rey rescued with five other lions from a circus in the historic Andean town of Cuzco. The Animal Rescue Site on GreaterGood.com is seeking to raise $10,000 to fly one of the oldest lions called Leo the 6,900 miles from Peru to Africa – a donation of $7.25 gets Leo another 5 miles closer. ADI also has a range of sponsorship options available. A donation of $10,000 to cover a lion’s full airfare will be acknowledged with placement of 10 large logos (or a name or message) on a lion’s travel crate. For $100 someone can sign up for the “People’s Lion Ticket” and have their name alongside 99 others on a travel crate. Jan Creamer: "This is a way for people to show their support and be involved in this historic animal rescue. A dream ending is in sight for these lions and with every donation they are a step closer to a life back in the African bush where they belong.